Confession time! I have an absurd addiction to chicken wings! They are my guilty pleasure. Any flavor…any style. I’m not overly picky when it comes to my choice of wing flavors. I just L.O.V.E. them! 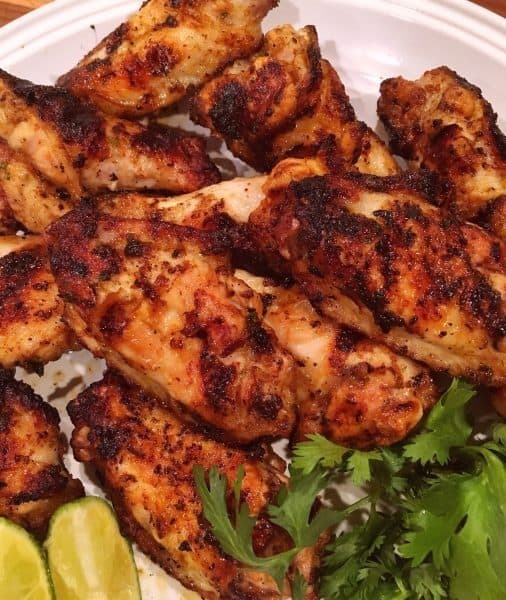 I decided to come up with a new easy marinade for grilled wing recipe. You’ll need 6-8 whole wings. Place in a bowl. Drizzle with 3 Tablespoons of olive oil. Add 1/4 teaspoon Garlic Powder, 1/4 teaspoon ground cumin, 1/4 teaspoon onion powder, 1/4 teaspoon ground chipotle powder, 1/4 teaspoons chili powder, 1/4 teaspoon of salt and of coarse black pepper. That’s a lot of flavor going on in that bowl. Is it enough? I think not. We need a little more! Add the juice of one lime and 4 Tablespoons Orange Juice. Add 1 Tablespoon finely chopped cilantro. Stir that all together. You can use a wooden spoon or go in there after it with your hands. That is entirely up to you my wing loving friends. Isn’t that a beautiful marinade? We can just sit here and admire it for a minute if you want…Okay…that’s enough! Time to cover these babies up and let them marinate for at least 4 hours. Heat grill to 350 degrees. Set the outside burners to medium-high, and leave the center burners on LOW! You’ll want to cook these at least 20 minutes a side. We want them crispy on the outside, and cooked on the inside. No raw chicken please! TIP: Have a spray water bottle handy for flare ups! (This is for the chicken…not YOU! lol) We want a little char…not a total cremation. Aren’t they purty! You can baste with any left over marinade, if you’d like while they are cooking. 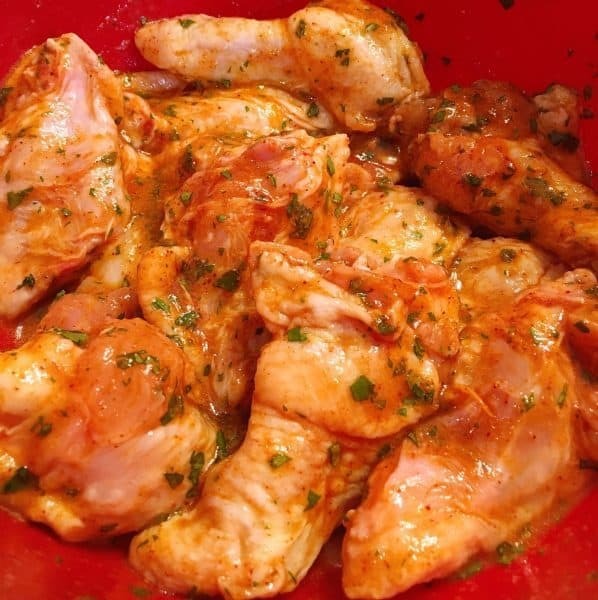 Do NOT baste after cooking with left over marinade because it had raw chicken in it. Only while cooking. When done remove from the grill and allow to rest 10 minutes. The “Grill Master” cooked these to perfection! Just the right amount of “char”, juicy on the inside, and great depth of color. Yep, he nailed it! They even look juicy and crispy! What more could a gal ask for? 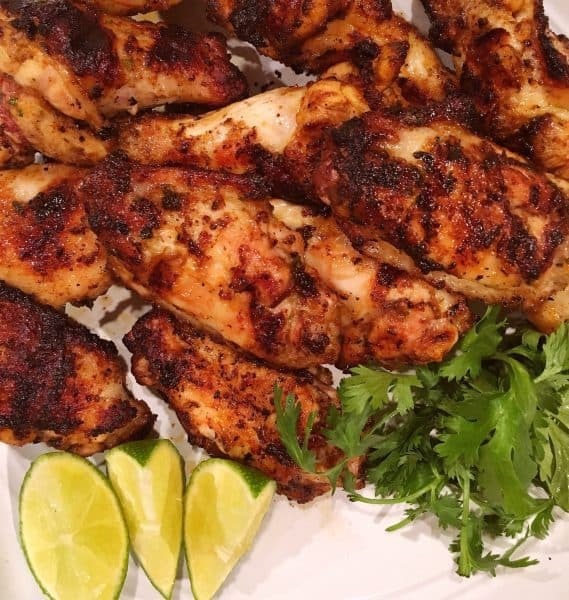 Serve with a side of lime wedges so that your guest can give a little squeeze over their wings! Don’t worry about napkins…they’ll be licking their fingers and reaching for their next wing before they’d even think to use it! Only thing I’d change? Next time…bigger batch of wings! Wouldn’t a jalapeno cilantro dip just be the bee’s knees to finish these off? A little kick of creamy heat! I’ve gotta get to work on that! 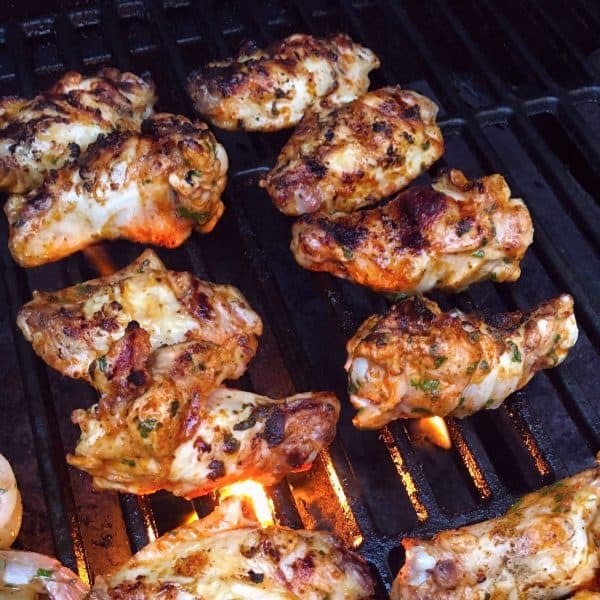 For now just enjoy these amazing wings before winter is here and we have to say “so long” to our grills for the season! I’m sharing this recipe on a brand new link up party “Foodie Friday”. To join the party you can click HERE! I’m also sharing this recipe on Meal Plan Monday. Click HERE to join the fun. I’m also sharing this delicious recipe over on the Weekend Potluck. One of my favorite link parties. Click HERE to join the fun. 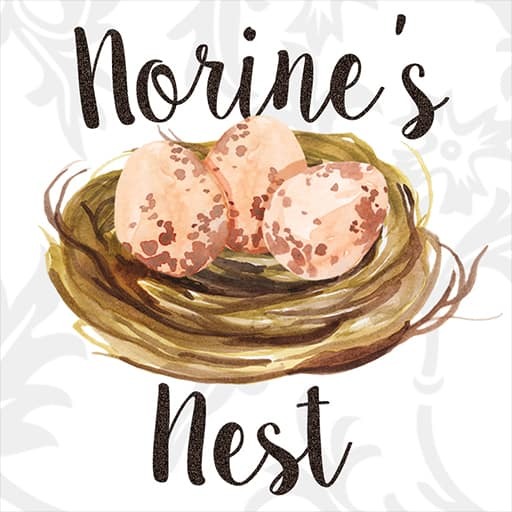 I also have a fun Facebook Group Page “Best Of Your Nest” where my blogging friends, some of the best on the planet, share their recipes and tips and where we love to have you share your recipes with us! 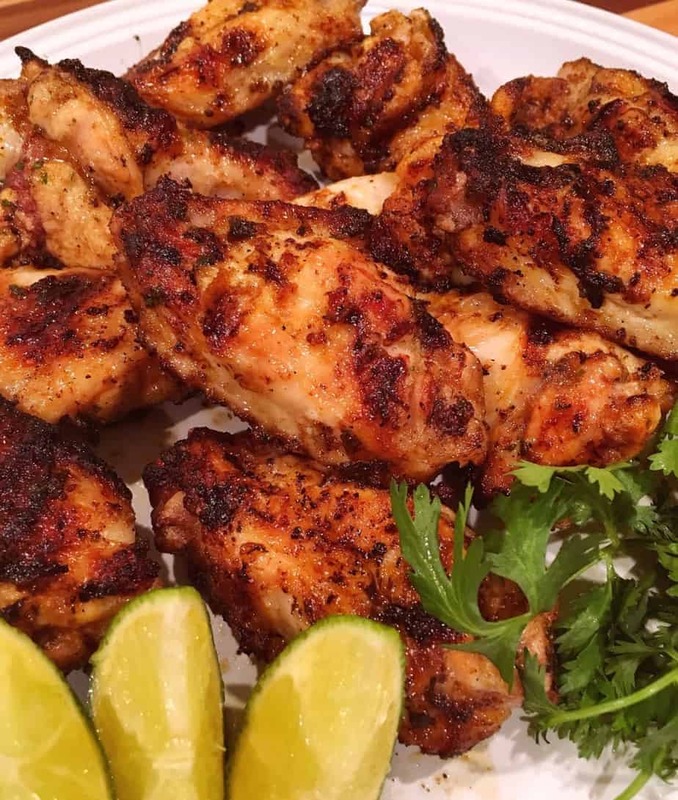 Delicious grilled wings loaded with citrus and spice flavors and touched with the perfect amount of char to great a finger licking appetizer you're sure to love. 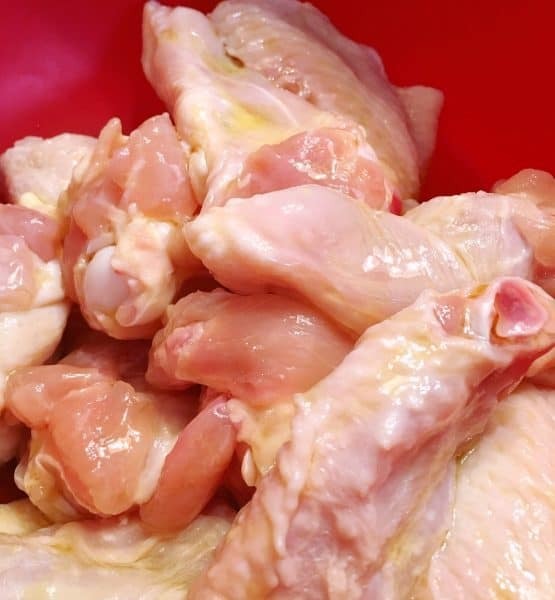 Cut tips off of chicken wings. Cut wings into two sections. The flats and the drums. Drizzle with olive oil. Add garlic powder, cumin, onion powder, chipotle powder, chili powder, salt, and pepper. Add Juice of one lime and 4 Tablespoons of Orange juice. Cover and Chill for 4 hours to allow flavors to marinate into meat. Heat grill to 350 degrees. Set outer burns at medium high heat and center burners, where you'll be cooking, to low. 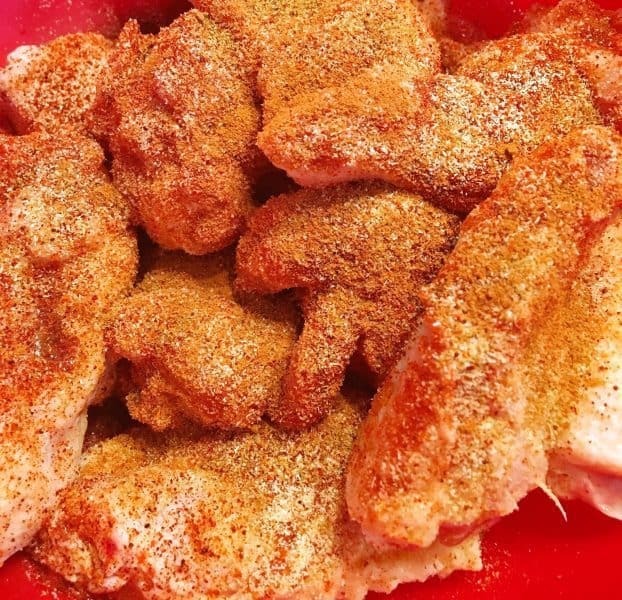 Cook wings for 20 minutes PER side turning often. Close lid between turns to "bake" the wings. Remove from heat and allow to "rest" for 10 minutes. Serve with lime wedges. 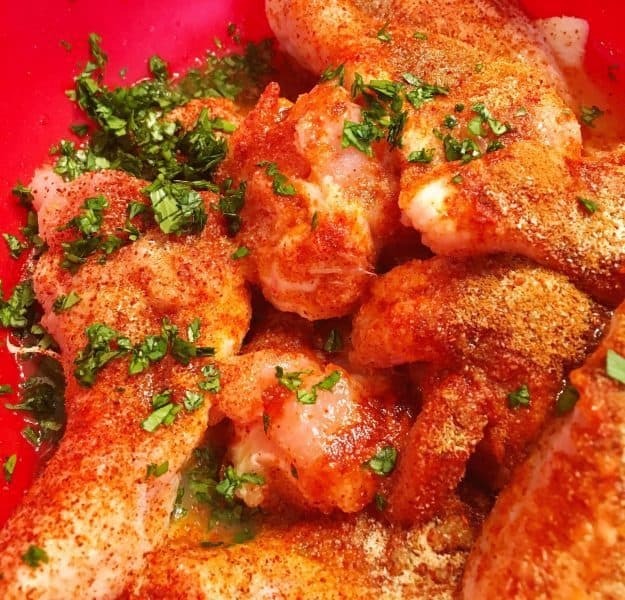 Squeeze lime over wings before eating. Please not "prep" time includes 4 hour marinating time. 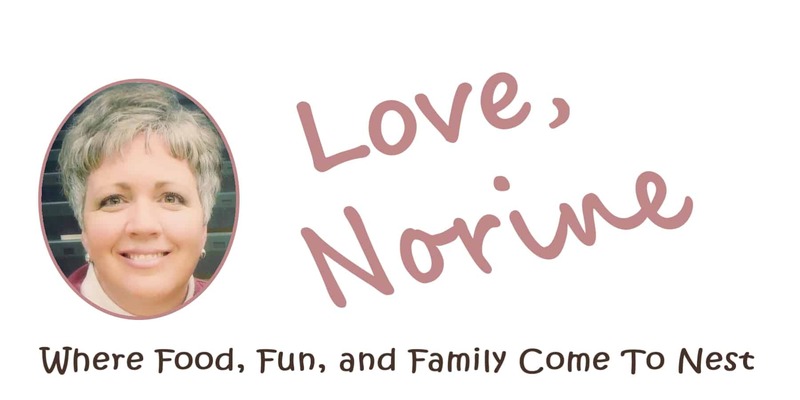 Hi Norine! So much flavor in this recipe!! It looks delish! Thanks for sharing this recipe on Foodie Friday! Thanks so much for stopping by! 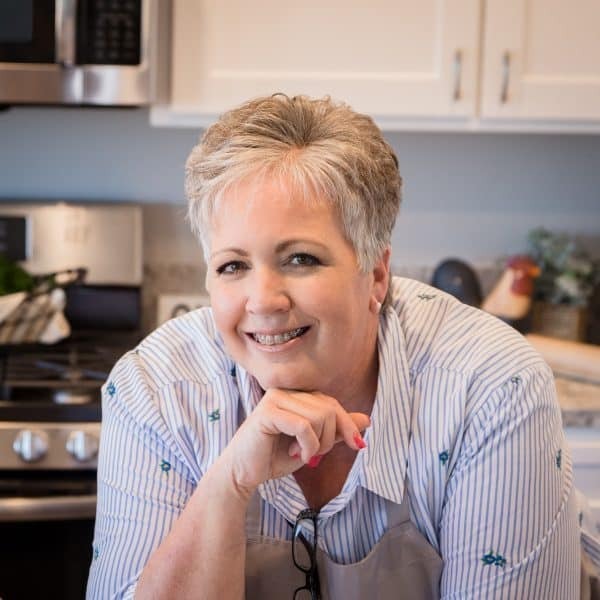 I’m so excited to share my recipes on your link party! I love your site! Darling logo…so cheerful. Great recipe thank you very much!!!!!! 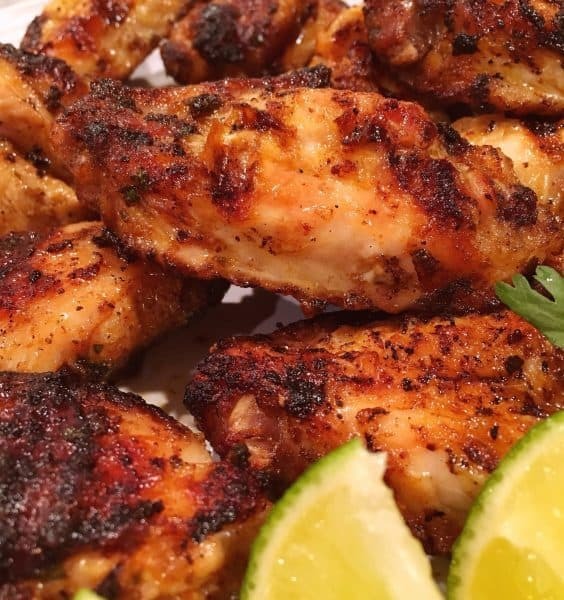 Thank you so much for stopping by and visiting with me to let me know you enjoyed these wings. I love this recipe. It’s packed with flavor and so easy to make. Thanks again for sharing with me. Hope you have a wonderful week. Do you think this could be done in an air fryer and if so how would you cook them? Yes! These can be made in an air fryer. Because the recipe contains olive oil you shouldn’t have do anything else to cook these in an air fryer. I would recommend that half way through the cook time you brush them with some of the left over marinade and finish cooking. They should turn out perfect! Thanks so much for stopping by and visiting with me. Enjoy the wings!